"It’s going to take years for the license application to work its way through the system, and it’s going to take multiple years for the EIS process to play out. Both give the public many opportunities to participate," he said. "The sooner we start the public participation, the better." "Congress originally stipulated that that fund could only be used for disposal, not interim storage," McDonald said. "The DOE is saying it makes more sense to use that settlement money for funding storage because it’s coming from taxpayers’ pockets," McDonald said. He said WCS is optimistic that its Andrews facility will ultimately be granted a contract for interim high-level nuclear waste storage despite federal projects like this moving "at glacial speed." "We have two things going for us that no one else in the country can say," he said. "First, we have an operating low-level radioactive waste disposal facility with experienced employees that do this every day. 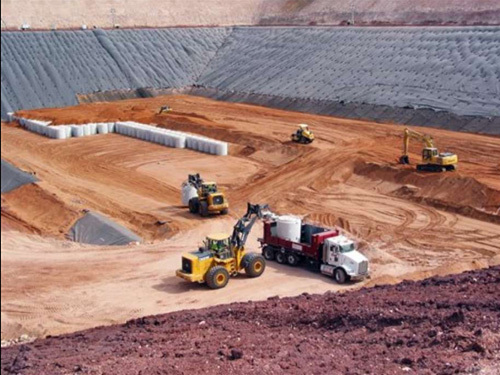 The process for interim high-level nuclear waste storage is very similar. "Second, we have a community that is very supportive of this and understands it after 20 years and has passed a resolution of support because they know this material can be handled safely and in an environmentally appropriate fashion, and it can be a source of revenue for the county. They’re willing to entertain other radioactive waste storage options. Not many places in the U.S. can bring that to the table for the federal government, and Andrews County is unique in that aspect." "They say if they restarted Yucca Mountain tomorrow, it would be about 25 years before they were ready to do permanent disposal there," McDonald said, adding that it’s best to move waste to a centralized location for safety and to give the space formerly occupied by nuclear plants back to communities. "The state had an obligation to take waste from low-level radioactive waste generators. The state was unable to site a facility, so it passed legislation to contract with a private entity to meet its obligation. That’s the genesis for everything that’s WCS." As for the environmental groups that want NRC to end WCS’ application process, "there’s a little bit of irony in the noise from those groups because they’re the ones who demand an opportunity to participate, but they are protesting the fact that this participation process has now begun," he said.